This amazon offer is valid for all users. If you are planning to fill your kitchen and buy monthly products. This offer could be a great benefit for you. You will get Free Gift vouchers on your purchase. If you are an ICICI bank customer you can increase your earnings. Don’t be sad if you are not an ICICI bank user. You can still avail this offer and earn free Amazon Gift Cards. If you are an ICICI bank customer then pay the amount via ICICI Credit/ Debit Card or Net Banking to get extra benefit otherwise you can choose any other option. 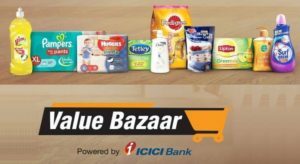 So if you are an ICICI bank customer you can get upto Rs 1200 Gift Voucher.